Bethesda just shared the first information on the QuakeCon 2018 schedule. The big unveiling will be all about DOOM Eternal, but there will also be updates and panels on many additional games from Fallout 76 to Quake Champions, RAGE 2, The Elder Scrolls Online and more. Check out the details sent out by the publisher via press release. Friday, August 10th @ 11am CT – QuakeCon’s Keynote Address returns, with updates planned for Quake Champions, RAGE 2, The Elder Scrolls Online, and, of course, the savage gameplay reveal of DOOM Eternal with Marty Stratton and Hugo Martin from id Software. Fans who can’t make it – and you really should! – can watch the keynote live online at https://www.twitch.tv/bethesda. 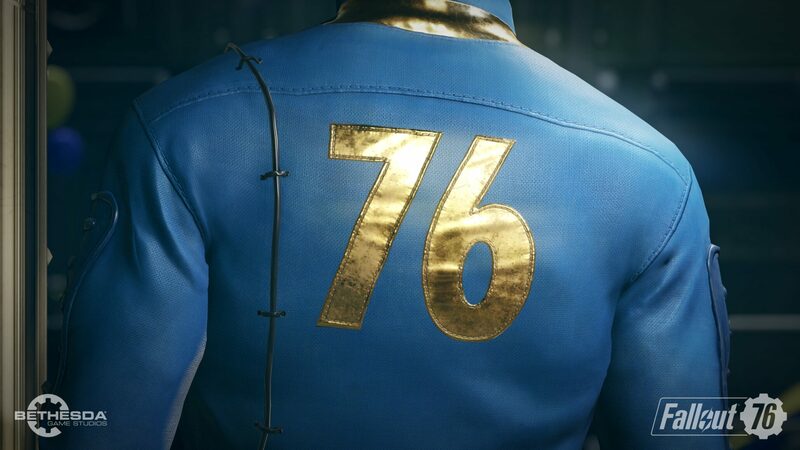 Saturday, August 11 @ 11am CT – Todd Howard and others from Bethesda Game Studios will take fans through a deeper dive into the character system and Perks coming in Fallout 76, followed by a Q&A with the team to address fans’ most pressing questions. Can’t make it? That’s a mistake… but you can still watch online at https://mixer.com/bethesda or https://www.twitch.tv/bethesda. Thursday, August 9 – Friday, August 10– The Elder Scrolls: LegendsMasters Series qualifiers are underway and set to culminate with two days of competition and finals at QuakeCon. Sixteen of the best Legends players in the world will convene at the Gaylord Texan Resort and Convention Center to battle for their share of a $50,000 prize pool. The entire tournament can be watched online at https://www.twitch.tv/teslegends. Friday, August 10 – Sunday, August 12– The next Major event for Quake Champions will take place at QuakeCon 2018. The QuakeCon Open will bring some of the best esports players in the world to battle it out in 2v2 for their share of a $175,000 prize pool. And, as a bonus – players from the top eight 2v2 teams will move on to compete solo in a 1v1, winner-take-all Duel showdown for a shot at ultimate glory and $25,000. Be there to cheer and boo in person, or, if you can’t, watch online at https://www.twitch.tv/quake. This year’s QuakeCon will see the return of official and community-run panels, including inside looks and discussions with Bethesda developers about games like DOOM Eternal, RAGE 2, Quake Champions and Prey. The panel schedule and details will be revealed alongside the full list of activities prior to QuakeCon. QuakeCon 2018 is due to take place between August 9th and 12th at the beautiful Gaylord Texan Resort and Convention Center in Grapevine, Texas. You can find more information here.